The spectral responsivity or quantum efficiency (QE) is essential for understanding current generation, recombination, and diffusion mechanisms in photovoltaic devices. 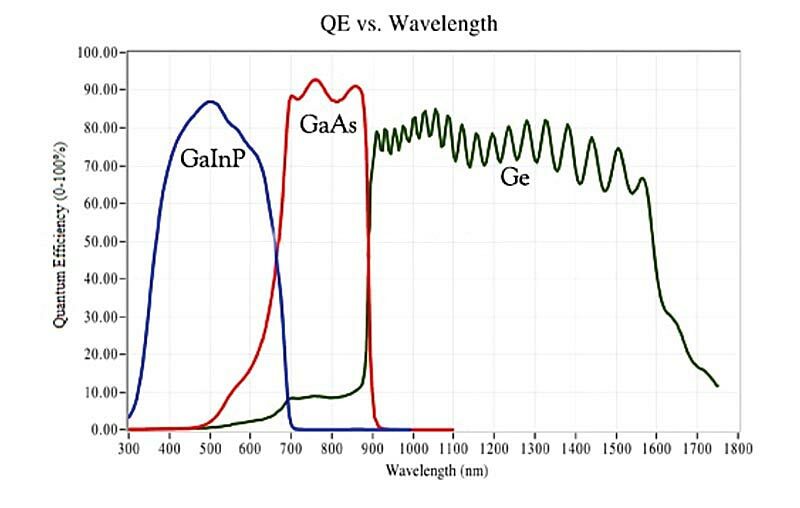 PV cell and module calibrations often require a spectral correction factor that uses the QE. The quantum efficiency in units of electron - hole pairs collected per incident photon is computed from the measured spectral response in units of amperes per watt as a function of wavelength. Model HO-SC-QEIV is integrated with 300W Xenon lamp with housing, optics, power supply and an easy to use software with capability to measure dark and lighted IV characteristics of solar cell and quantum efficiency measurement (300nm-1600nm). 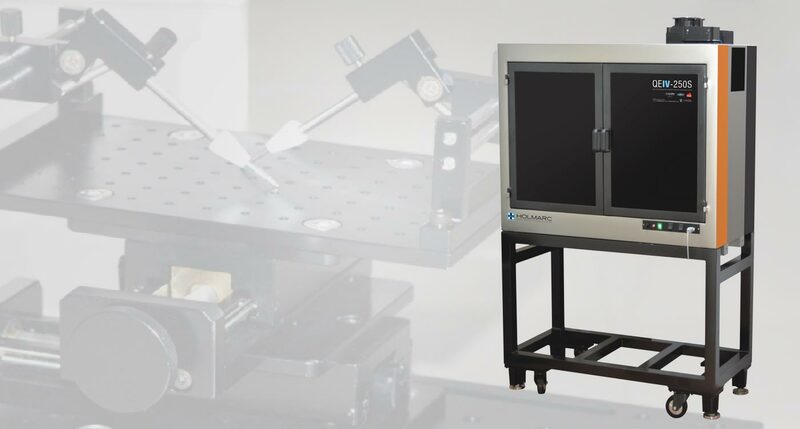 It can also be used for characterization / measurement of the imaging systems (cameras) and other detectors in terms of linearity range, spatial non-uniformity of response (the variation of responsivity across the active area of a detector) etc. Detector characterization allows identification of the detector with the best performance for a particular application. 300 F Quasar Monochromator (300 - 1600 nm) with order sorting filters. Built-in optical chopper and lock in amplifier. 300F Quasar Monochromator (300-1600 nm) with order sorting filters. 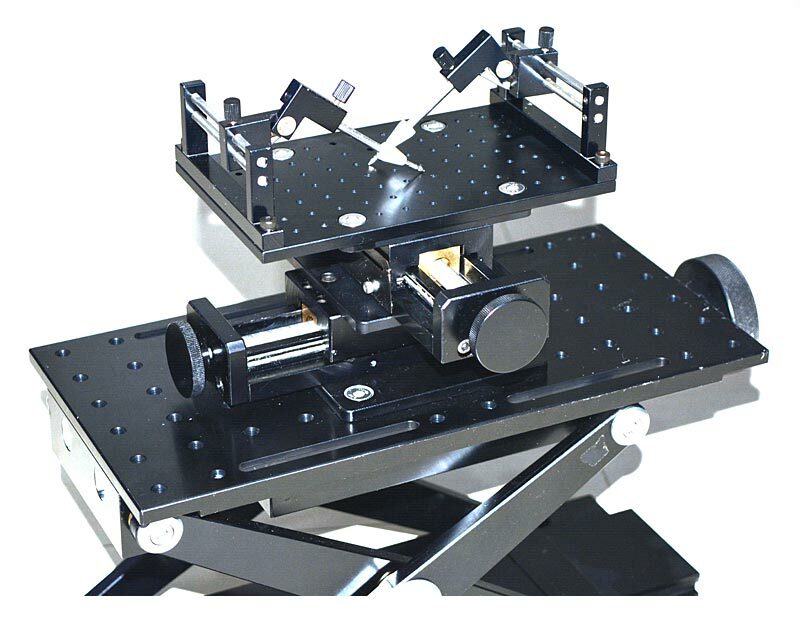 Selectable flip mirror assembly for quantum efficiency measurement / lighted I-V measurement. For lighted IV a collimated beam of 50 mm diameter is used. Sample holding and x-y manual positioning unit arrangement helps to keep the sample horizontally.